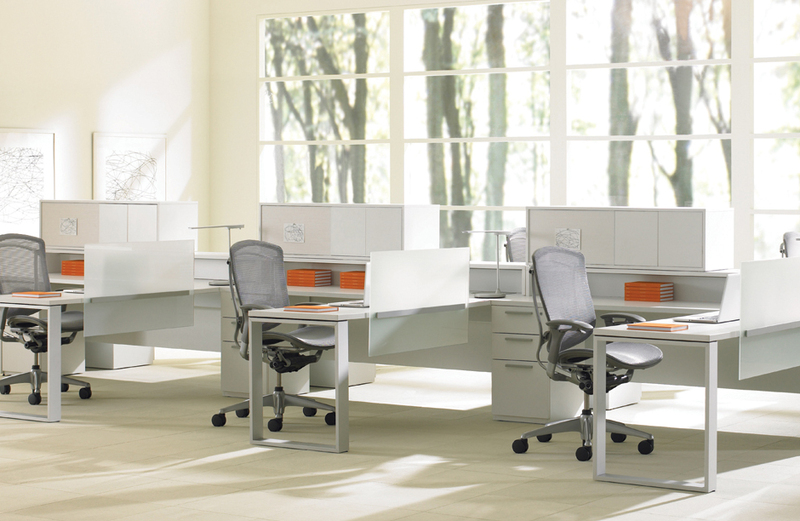 Designed to permit a creative approach to space planning, Expansion® Desking is a comprehensive line of freestanding furniture that creates space-efficient workstations. · Suspended Modesty Panels provide discreet privacy and are available in frosted and back-painted glass, laminate and metal options. 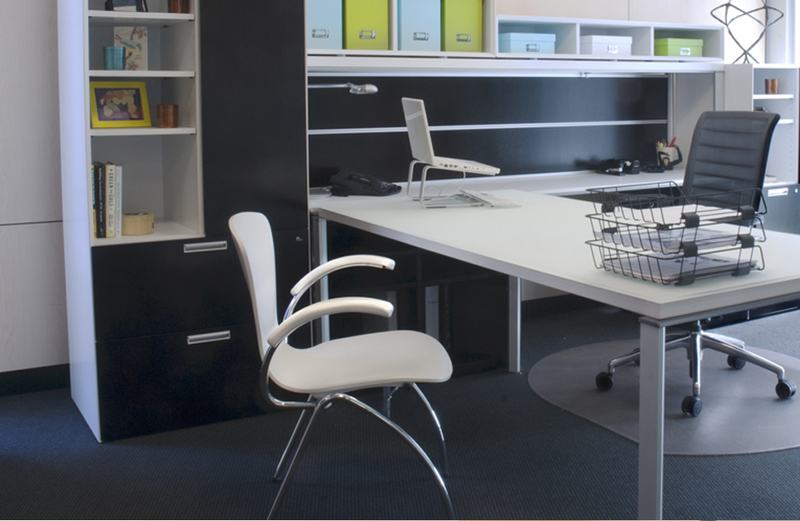 · Worksurface Edge Screens provide partial privacy in open and collaborative applications. They are available in frosted glass and laminate. · Center Add-On Screens and Desktop Cabinets mount off-module on the Desk-Mounted Shelf or can rest directly on the desk. 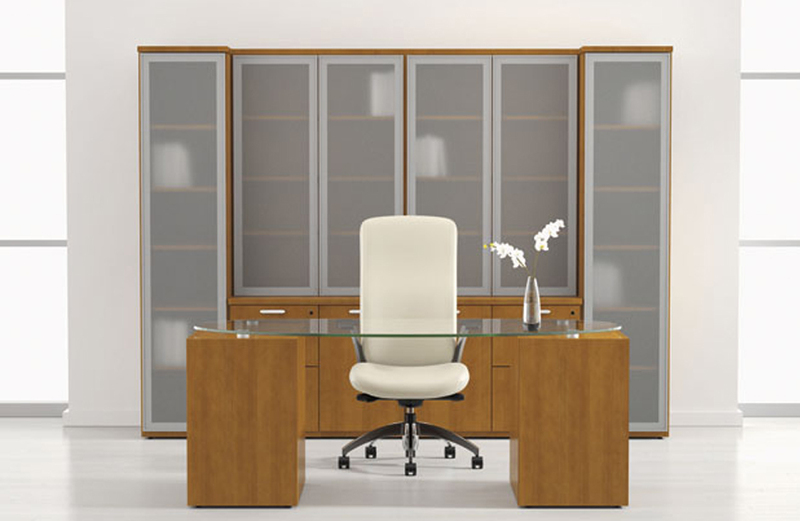 · Low Credenzas provide ample storage while accommodating casual seating when used with a seat cushion. Shelving supports accept additional paper flow. · Supporting Towers with side access shelving offer alternate planning and filing choices. A 1-inch-thick wrap-around case provides an integrated worksurface mount option. · Freestanding storage functions as a worksurface support when used underneath surfaces or attached from the storage side. · One-inch-thick Floor Screens provide a cost-effective alternative to space division. · One-inch-thick Floor Screens with glass provide enclosure while allowing natural light within workstations. · Two-inch-thick Freestanding Screens may be used alone or connected together to provide varying degrees of privacy. 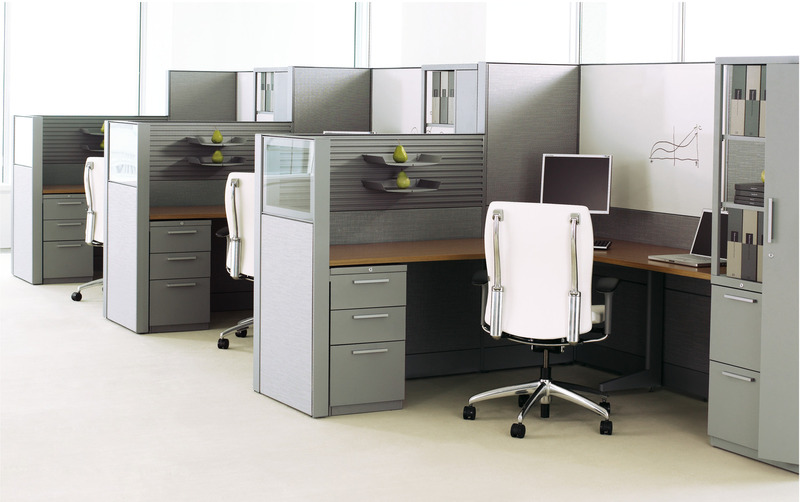 They function to enclose a workstation in side-wrap applications or behind desks to enhance corridor appearance. · Ideal for collaborative areas, 29-inch-high Credenzas provide shared access from either side with a cubby space for additional storage. 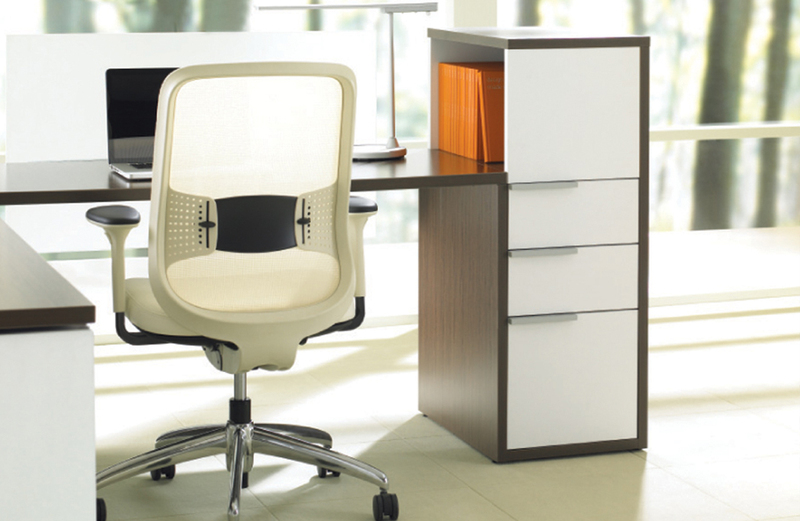 · An integrated access door on Spine Desks provides easy access to power and data underneath the worksurface. 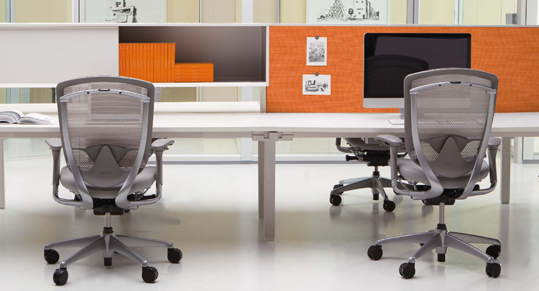 · Modular Desks accept standard 52-inch-high Structural Columns that allow space-saving double overheads. · The Structural Column framework supports Elements, Overhead Storage, Countertops, Tool Rails, and accessories. 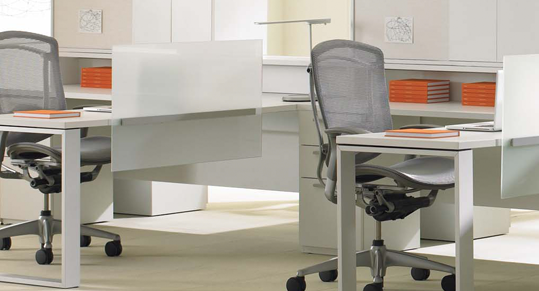 · Height-adjustable desks feature split worksurfaces with an adjustment range of 26–32 inches. The back surface remains fixed, maintaining height consistency of components above the worksurface supported by the Structural Column. · An optional grommet on Spine Desks efficiently routes cables into the wire management channel.